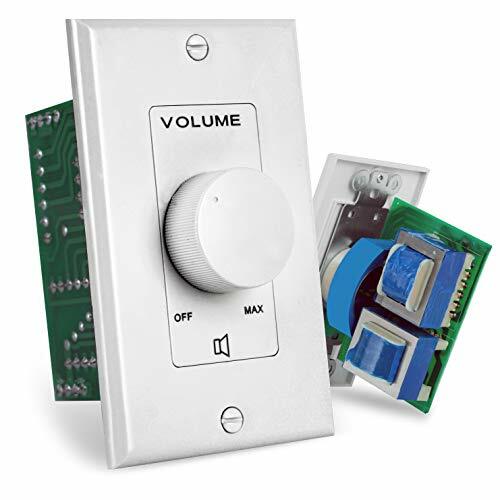 126W (42W RMS), easy access impedance switch behind front plate, Decora style plate and knob (detachable), 12 gauge max wire Size, 4 ohms minimum, 12 steps of volume including off, Autoformer based impedance matching, includes white and light almond plates and knobs. 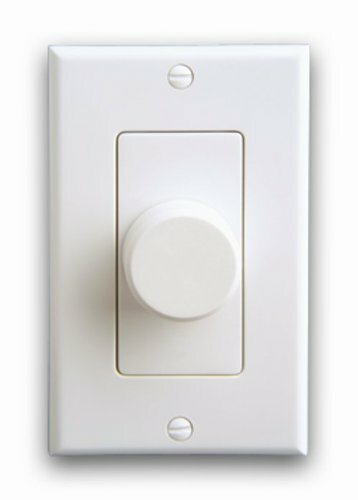 Industry first unique design featuring Thru Output for easy daisy chain installation, high power. 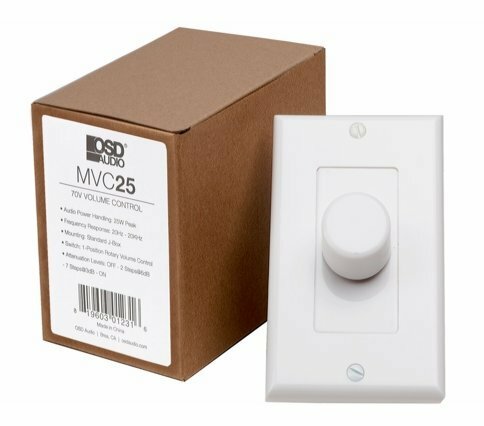 New daisy chain design adds thru output that by passes the transformer allowing additional daisy chained Volume Controls for maximum flexibility, No need for external splicing. Decora Style high -quality auto transformer provides advantages of excellent frequency response, low insertion loass and reliable performance for volume control applications in 25 and 70 volt systems. 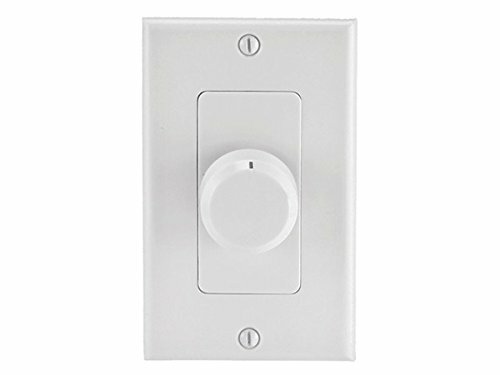 Attneuation is accomplished in ten make before break steps plus positive off position (no stop between maximum and off position to prevent switch damage). 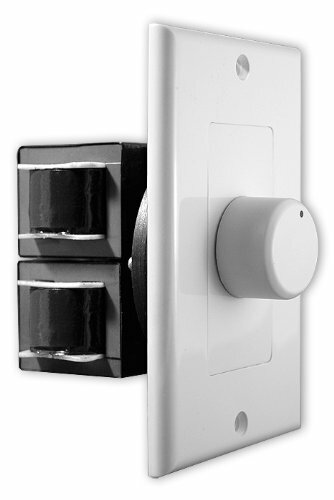 The attenuation features removable input/output terminal blocks, two in, tow out and two optional for through output for daisy chain connection. 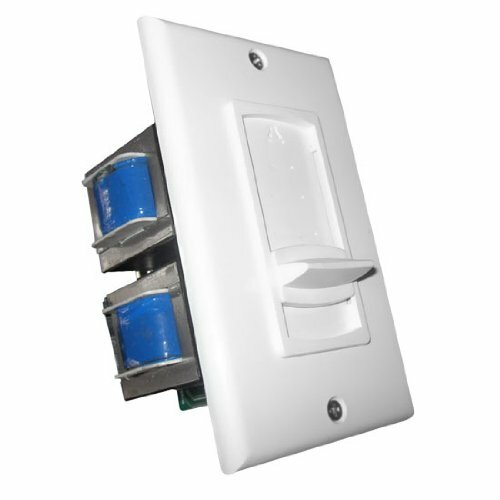 An attractive alternative to commercial series attenuators mounts into most single gang E.O boxes. 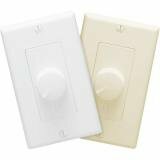 UL listed white and ivory plastic plates with matching skirted knobs in Decora style. 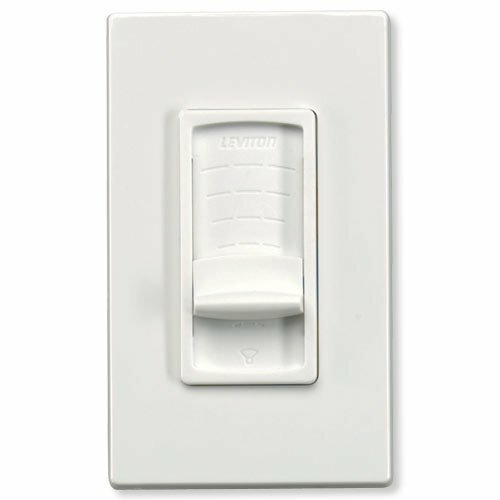 The Leviton SGVSTW is a free volume control from Leviton's product line of Decora Strauss TransformerFree Matching Volume Controls. This particular model comes in white. You can combine this model with premium installed speakers. This combination delivers the best reproduction from today's digital sources. 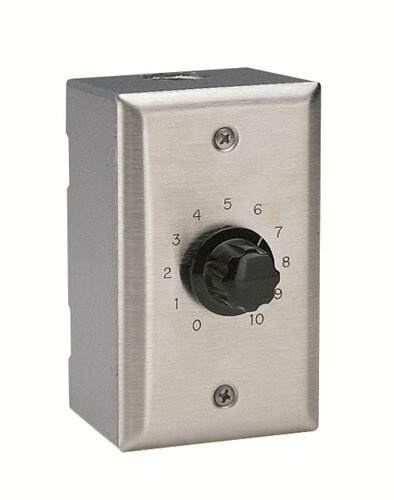 This free volume slide control has 12position switch. It includes a full OFF position. Add an elegant touch with the help of Decora designer styling.